*Valid from April 15 until May 15, 2019. Products installed. 1 Patio door per purchase. Get style, comfort and elegance with our wide selection of quality door and window models. Apply for the RénoVert tax credit and save 20% on eligible expenditures for residential renovation (ends March 31, 2019). Get more information! From December 17 2018 to February 15 2019, take advantage of our lowest prices of the year on Fenplast products by getting 10% off your purchase. If you’d rather renovate in the spring, we also offer 5% off the same products from February 18 2019 to March 29 2019. 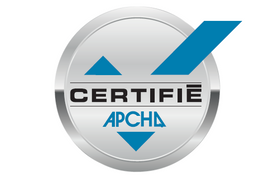 Our company now has the APCHQ-certified banner attesting to our professionalism and excellence. You can now ask for an Accord D Financing for your new doors and windows from IDÉKA Portes et Fenêtres. Upgrade the image of your entire home with a stylish new front door. Aluminum or steel garage doors: equally reliable. Invite warmth and light into your home. Welcome to IDÉKA Portes et Fenêtres: the expert in door and window sales and installation on the South Shore and in the Greater Metropolitan Area! Our Saint-Bruno-de-Montarville and Brossard stores have the perfect product to meet your needs, whether for a renovation, addition or new construction. Our family business is proud to offer you a wide variety of affordable, high quality products while providing unsurpassed professional sales, installation and after-sales services. We are your go-to company to find a front door, architectural door, patio door or whole new garage door that will change the look of your home. The same goes for your windows, including architectural windows, casement and awning windows, sash and sliding windows. Changing your doors and windows can improve the comfort and style of your home. For more information, call or send us an email today! 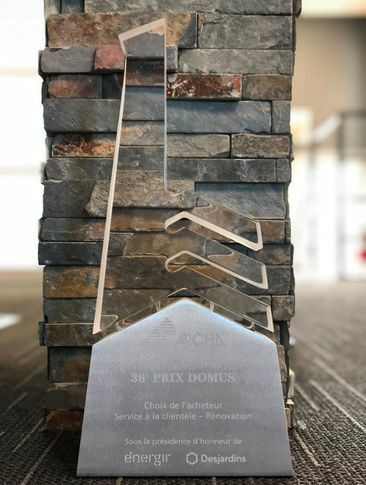 IDÉKA Portes et Fenêtres is proud to be the winner of the 36th Domus Award among a list of renowned companies. The APCHQ awarded the coveted trophy on March 15, in The Buyer's Choice/Customer Service under Renovation category. Your renovations deserve the experience, knowledge and skill you get with IDÉKA.